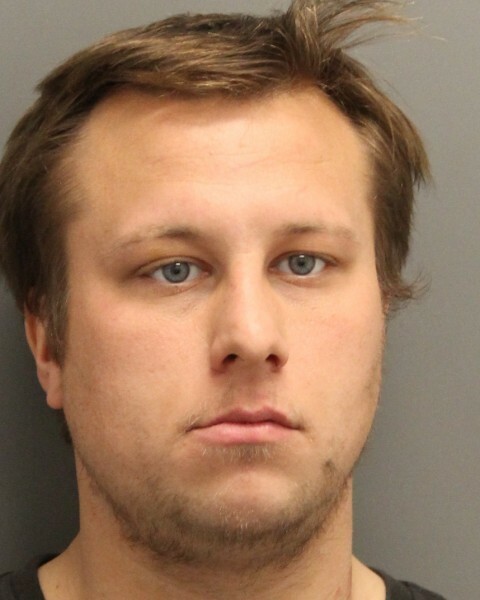 Delaware State Police say they have arrested a Magnolia man for the assault of a police officer along with other charges. Troopers say shortly before 9 a.m. on Sunday, they responded to a residence on Barkers Landing Road in an attempt to locate 28-year-old Lionel Thompson of Magnolia, who was wanted for numerous thefts. Troopers say the suspect gave them a false name stating his name was “Ryan” and attempted to evade Troopers. The Trooper ordered him to put his hands behind his back, which he refused and a physical struggle ensued. The Trooper and Thompson fell and the suspect continued to actively resist by striking the Trooper. State Police say the Trooper sustained personal injury and damage to his equipment while attempting to take him into custody. The suspect broke free and fled into a wooded area. He was later seen claiming a ladder into a second story window of his residence. Troopers entered the home and arrested Thompson in his attic. The Trooper involved was transported to Bay Health at Kent General for treatment of non-life threatening injuries. The suspect was transported to Bay Health at Kent General as well, treated for minor injuries. He was later transported to Troop 3 where he was charged with 2nd Degree Assault that Inured a Law Enforcement Officer, Resisting Arrest, Criminal Impersonation and two counts of Criminal Mischief. He was also wanted for several vehicular thefts and criminal trespassing charges that took place in the Magnolia area between March 23 and March 26. Thompson was arraigned and committed to Sussex Correctional Institution in default of 10,000 dollars secured bond.